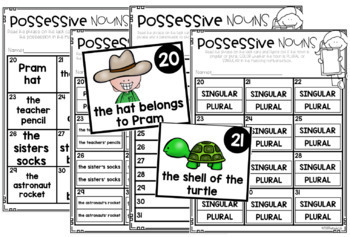 This is a 12 card possessive nouns reading task card game with 4 different recording sheets! 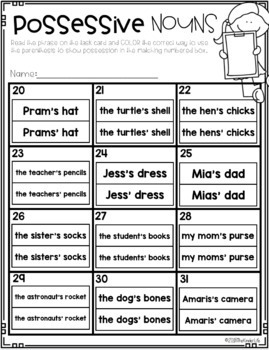 Students will practice reading, comprehending, and adding apostrophes to show possession in many different ways! 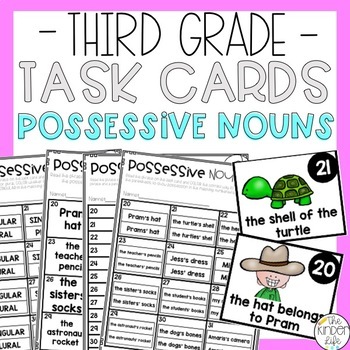 Get your students moving and having fun with this noun, verb, and adjective interactive task card game! 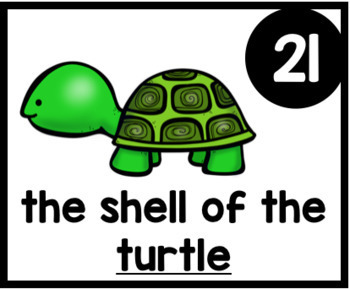 My task card games can be used as a whole group activity, small group activity, math or literacy center, independent work, or as a FUN brain break activity.